June earned a master’s degree in dance and has been teaching it for more than 30 years. She has taught dance movement in a variety of venues. She is a certified Level 3 Essentrics instructor. She chose to teach Essentrics as it offers great benefits to maintaining better health and wellness for adults and the fact that is it fluid and dance-like. 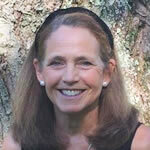 June teaches group classes in New Canaan, Norwalk, and Westport YMCA. For more info contact June at essentricswithjune@gmail.com. 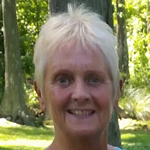 In addition to being a certified Essentrics and Barre instructor, Diane holds certifications as a specialist in exercise therapy and fitness trainer. 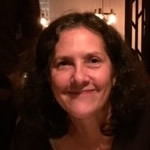 Her career in healthcare spans more than thirty years where she served in executive management positions for managed care companies and software firms providing unique services for high risk pregnancy and chronic disease management. 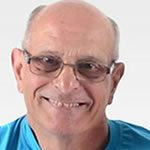 Today Diane splits here time between managing a top-ranked risk adjustment product, teaching therapeutic exercises for balance, strength and flexibility, including group and individual Essentrics classes. For more info contact Diane at dianelaurent@live.com. Maureen has been a healthy living enthusiast all her life. 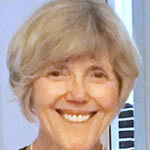 She was a fitness instructor in 1982, and has been a student of yoga off and on for over 35 years. When she saw a program about Essentrics on CPTV she knew she had to try it. Maureen is now a Level 1 certified and is excited to bring this healthy method of exercise to everyone. My students have already found many health benefits from this program as have I. It’s unlike anything I’ve ever experienced before. Essentrics will benefit yogis, runners, cross fitters, cyclist or the new to exercise person, to re-balance their body in a healthy and efficient way. 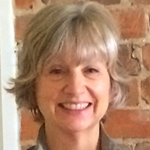 Maureen teaches classes in Thomaston, CT. Contact info: mbellmay@yahoo.com or 860-601-1714. 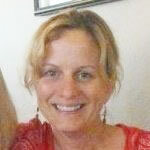 Misty is a Level 1 instructor who teaches in Fairfield, CT. She loves Essentrics because it has improved her posture and balance. She also loves the fluid movement and interesting choreography. She feels the centering exercises have improved her tennis, skiing, biking and running. Her clients love how it relaxes and energizes them. “After a day of sitting at a desk in front of a computer, my clients crave this Essentrics workout that loosens the joints, frees the hips and lower back, opens the chest and gives them a sense of balance and calm.” Contact info: mistybeyer@optonline.net. 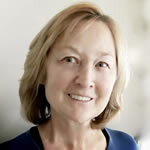 Karen lives in New Canaan and is a Certified Level 1 Essentrics Instructor. Fitness has been her main focus for over 20 years not only training but teaching. She has been fortunate to acquire a broad background in many areas such as running, weight training, aerobics, boxing, spinning and recently Essentrics. Martial Arts has also been a big part of Karen’s background. Through training and teaching she obtained the rank of Certified Second Degree Black Belt… Contact Karen at 203-243-0263. Please enter your email to receive information about events, new courses, and latest news. Success! Thank you to subscribe to my email list. © 2019 Essentrics is a registered trademark of Esmonde Technique - All Rights Reserved.